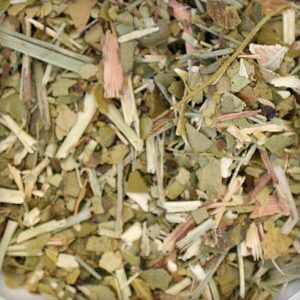 Hawaiian Paradise Tisane Loose Leaf Tea Herbal Blends. Pineapple, apricot, peach, papaya, cranberry, and hibiscus with mango, passion fruit, and peach flavor. 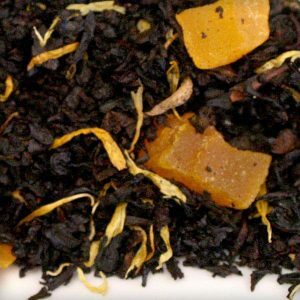 This is a great tea which has a lemony and a fruity flavor in one. Honestly speaking, this tea is slightly tart in taste but has a great flavor. You can add any natural sweetener to the tea and boost its taste. The tartness of the tea is somewhat compromised if a little sugar is added to it. This tisane has a strong strawberry smell to it. 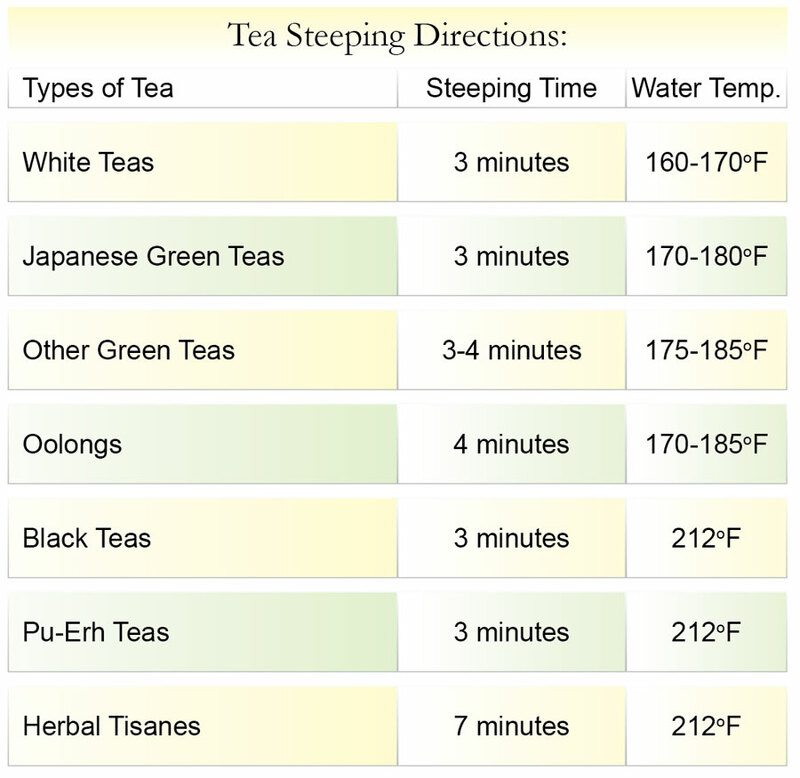 I prefer the tea because of its medicinal qualities, yet at the same time is an enjoyable drink. This lemony yet slightly fruity is surely as divine as the mist that evolves naturally. The tea with its mildly fruity, mildly floral character is very different than the rest of the types that I have had. It is unique as it has the natural goodness of hibiscus and others fruits. It just feels refreshing. Unlike any other beverage that leaves a dry taste on your tongue, this kind of is smooth and silky. I like a lot of the teas from Primatea and hence this is the main reason why I opted to buy this tea, which became a part of my collection. 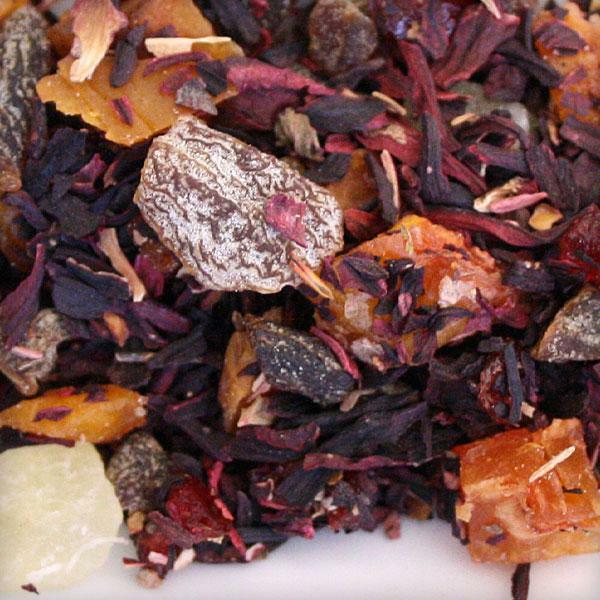 You will love the flavor since it is not too strong and too aromatic or fake like many of the other fruit teas are. Usually I try combining and brewing two different fruit teas at a time but this tea tastes best on its own. I experienced the awesome taste of peach and apricot while enjoyed the tea. The smell of this tea is truly divine just like the smell of a real peach. The taste is simply awesome with the taste of apricot added to it. The smell of this tea had me before I had the first sip and thereafter I enjoyed every sip of it. 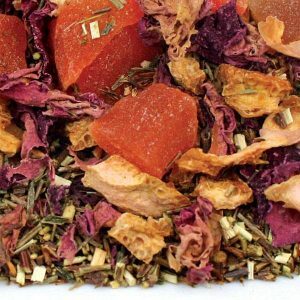 The combination of peach and apricot is what makes this tea stand out from the others. With its fantastic aroma, it blends well with Ceylon black tea. 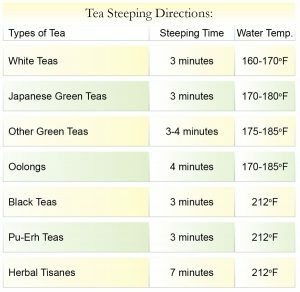 You can have this tea without sugar, however you can add some of it if you prefer sweet tea. If you are looking for a fruit tea to start with, this is probably one of the best introductions. I enjoy its bright and natural flavor given to it by bits of fresh fruits and flowers. It is absolutely caffeine free and yet I find it, particularly its iced flavor, very stimulating and recharging. I add a drop of honey to it and its flavor is further enhanced. Drinking tea anyway gives a refreshing feeling. In addition to it a fruity flavor with the lemony tang makes enjoying the beverage a pleasure. 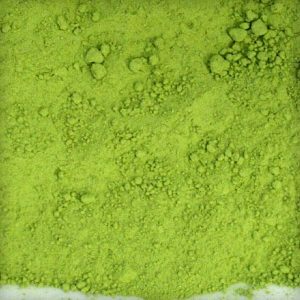 The flavor gives the body a significant energy boost by providing it with renewable energy. I feel a good fruit tea can give you plenty of energy with just one cup, and leave you feeling great. Infused with the tea, and drank hot or cold makes you feel energized and leaves you asking for more. It is a great substitute for coffee or soda of any kind.